BBI Takes Part in the 2nd Annual TAG State of TxDOT Event — Binkley & Barfield, Inc.
BBI’s Paul Voiles, PE and Kevin Mineo, PE took part in the 2nd Annual Transportation Advocacy Group (TAG) State of TxDOT event, which was held on Monday, September 17 at the Marriott Marquis in Houston. 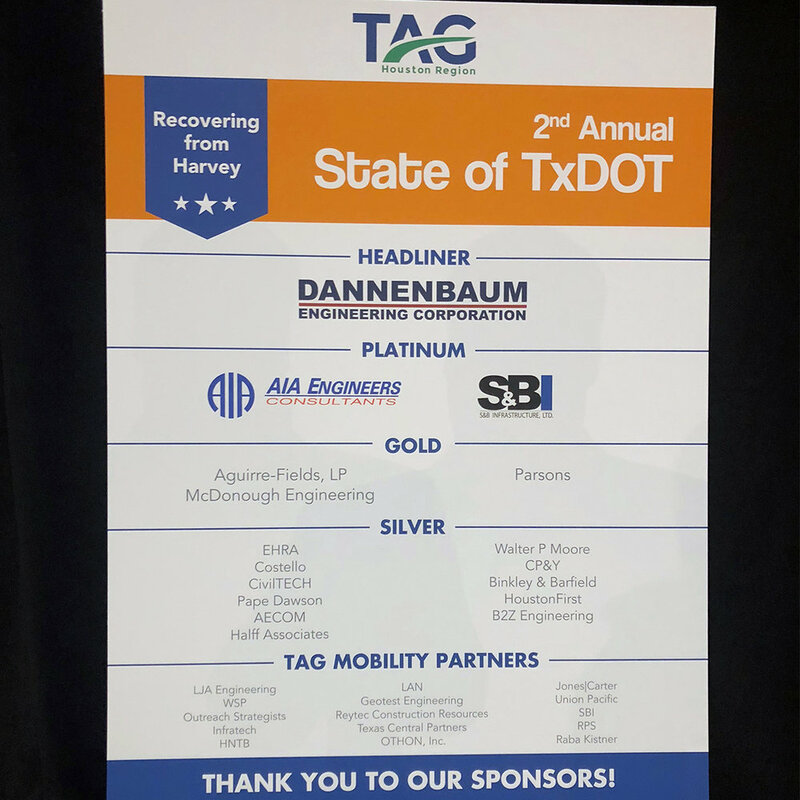 The event, which was presented by TAG’s Houston Region, highlighted the Texas Department of Transportation’s (TxDOT) role in Harvey recovery, and also provided a recap of the agency’s past, present, and future. BBI was a sponsor of this event, which featured a discussion with keynote speakers including TxDOT District Engineer Quincy Allen and Texas Transportation Commissioner Laura Ryan. The conversation focused on TxDOT’s role in Harvey recovery over the past year, and its plans for strengthening the region to be better prepared in the future.